Metro Door & Hardware provides your company or municipality experience and trusted commercial door repair in Oakland county, Wayne county and Macomb county Michigan. 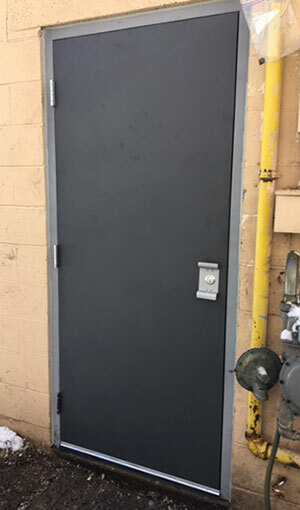 Take advantage of our expert and professional commercial door repair, and an owner operated door company that treats your business like it was ours. We like great price in our exceptional customer service, and our vast knowledge of commercial door repair that is customized to your specific needs. We offer full-service commercial door repair, commercial door hardware and installation that is second to none in Metro Detroit. Step up to quality commercial door repair using the latest technology in door hardware and security locks. We promise you amazing service at the most affordable prices. In addition, we offer free quotes along with friendly and very knowledgeable staff. Call (586) 925-0815 today for all your commercial door repair needs that includes door modifications, in-stock hardware, door upgrades, door louvers, electric strikes, door locksets, panic bars, door closers and much more! With over 40 years’ experience in commercial door repair we’re got the knowhow to redesign, fix and repair any door system for your business or municipality. We also offer door upgrades, advanced security locks and keyless entry devices for optimum door security door night. Correctly modify the existing opening to accept better locks, door closers, exit devices, automatic operators, etc. Call (586) 925-0815 today for your free estimate with no obligation!